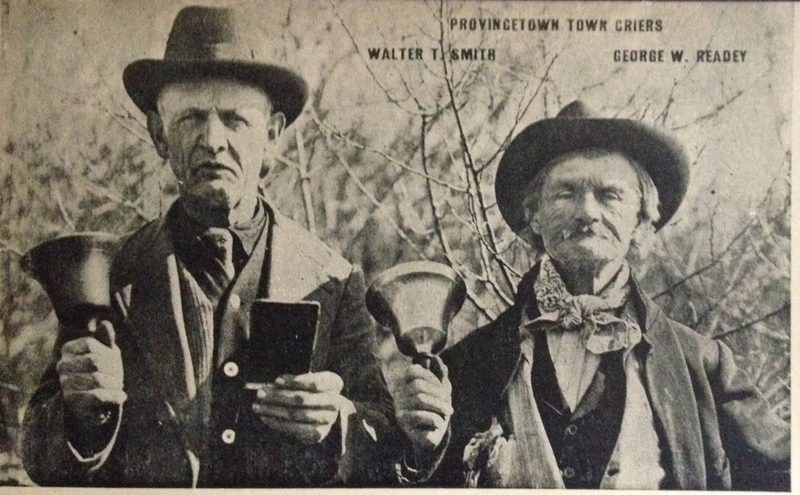 A rare antique postcard shows two of Provincetown’s early 20th century Town Criers together in one photograph: George W. Ready and Walter T. Smith. George Washington Ready wore regular street clothes while practicing his profession, clothes that gradually became more old and dilapidated as he advanced in age. He was known to have a remarkable vocabulary, but in his official capacity as Town Crier, restricted his language to what he was contracted to recite. Walter T. Smith, known as “Hoppy” Smith served as the Provincetown Town Crier for 27 years and at age 78 resigned his post due to lameness in 1927. (Perhaps he walked with a hopping gait and thereby the nickname?) The July 16, 1927 Farmers Advocate newspaper published in their weekly issue that “he is believed to be the last Town Crier in the country” But of course her was not the last Town Crier, because Amos Kubik went on to succeed him, as documented in a 1938 Provincetown Advocate article about Kubik making a trip from Provincetown, Massachusetts to Washington D.C. to perform at the National Folk Festival on the Mall. In the 1980s Gene Poyant went on to revive the Town Crier Tradition on Cape Cod and now the calling of being a Town Crier has been revived in many cities globally. There is a World Invitational Town Crier Championship from August lst to August 5, 2013 in Kingston Ontario. 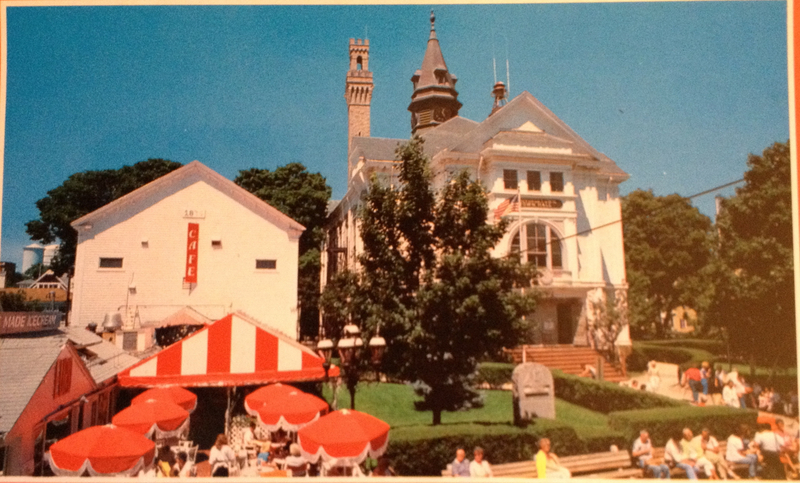 And while Provincetown doesn’t currently have a Town Crier it might have been an inspiration for the name of a local magazine because freedom of the press and breaking up the monopoly of one small town newspaper is a big issue with the characters in the new Provincetown book Remaining in Provincetown by S.N. Cook. Antique postcards are also important in the story. Native son Sonny Carreiro is an obsessive collector. Haven’t read the book yet? Signed copies are for sale at the Provincetown Bookshop and copies are also available online in trade paperback and on kindle. Find out what people are talking about on our Facebook page.